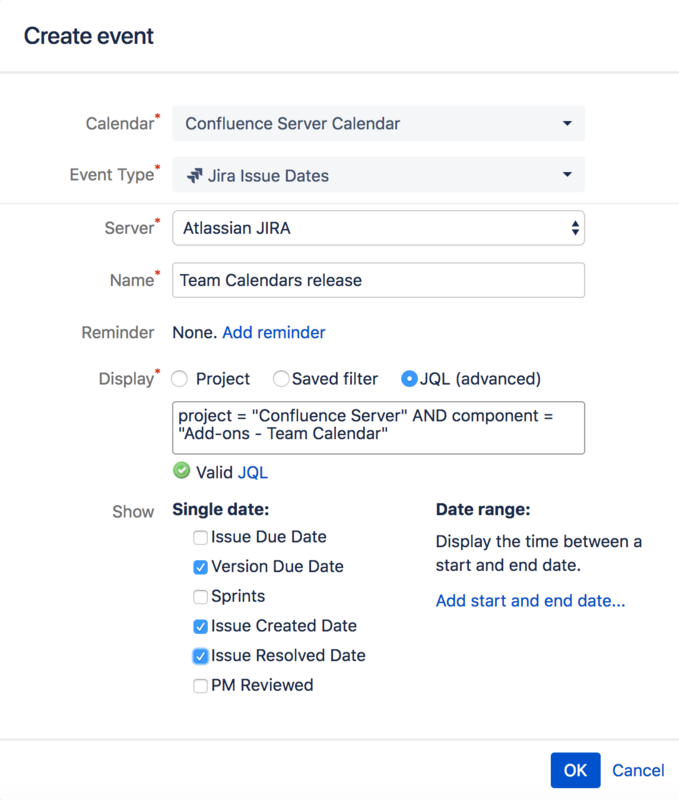 Jira events enable you to visualize versions, issues or sprint dates from Jira applications. To use this feature, Confluence and Jira need to be connected by an application link. See Install Team Calendars for more information on how to set this up. JIRA Issue Dates – Embed a single JIRA issue date or the duration between any two issue dates. For example, embed due dates for JIRA issues, or, if you have custom fields, embed a scheduled deployment date. What if you want to see the duration for a particular issue? You may have fields like 'Deployment Start Date' and 'Deployment End Date' or 'Issue Start' and 'Issue End Date'. Team Calendars allows you to visualize the duration between any two dates. JIRA Software Sprints – If your team is using JIRA Software to plan their work, you can also embed your Sprints inside your Team Calendar. This helps you see the duration of your sprint and how your team's availability or other team events could impact the sprint. JIRA Project Releases – JIRA versions help you define a release for your projects. You can embed and visualize your JIRA project versions to see how your releases are progressing. Drag-and-drop the event or update its date, and it will automatically update in your JIRA application. Currently, you can't update your JIRA Software sprint dates. Saved filter – For more advanced filtering as well as support for multiple projects. JQL – Power users can use JQL to create a JIRA calendar. If you select Saved filter or JQL, Team Calendars will render all available date fields that are available for all projects selected in your filter. If there are dates that are only available to one project, and not another in the filter, they will not render in the list of possible fields to show. Upon selecting a Project, Saved Filter or JQL, you'll be presented with all possible dates that can be rendered in Team Calendars. 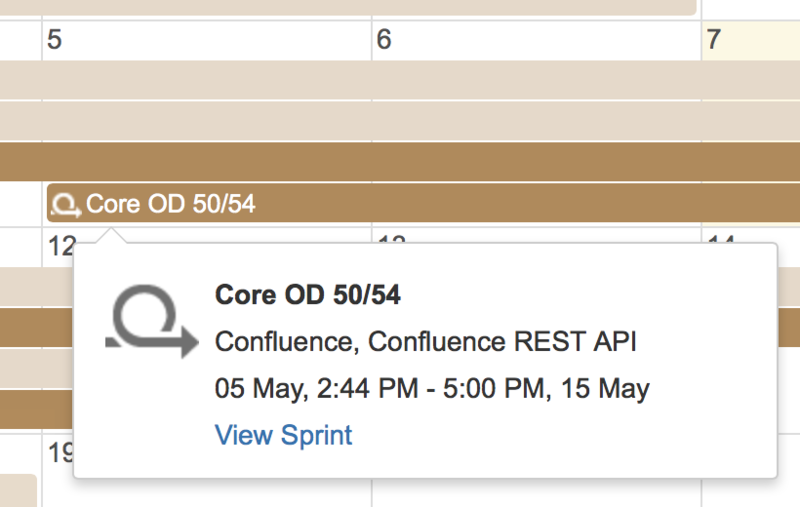 For those of you with JIRA Software, Team Calendars can also embed your JIRA Software sprint durations right on your JIRA Calendars. Once you've entered a JQL query, choose the dates you'd like to display in Team Calendars. You can't add content to JIRA calendars as they source all of their date information from the JIRA system. To add issues and version deadlines, add them in the JIRA application's interface. 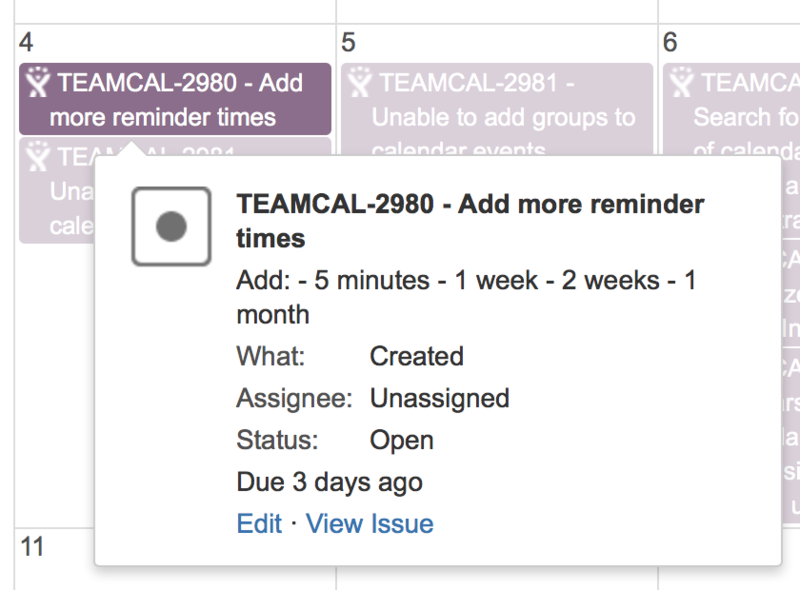 You can drag-and-drop your JIRA issue dates and project versions to re-schedule them right from Team Calendars. 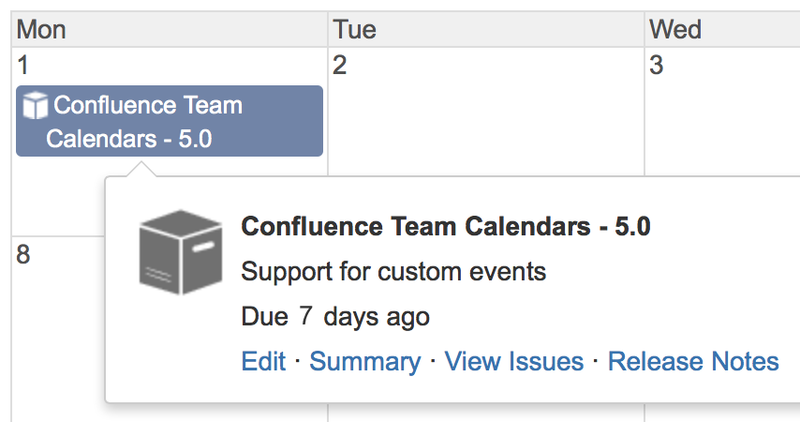 When you create a JIRA calendar, all users in your system can see the calendar name in Confluence. 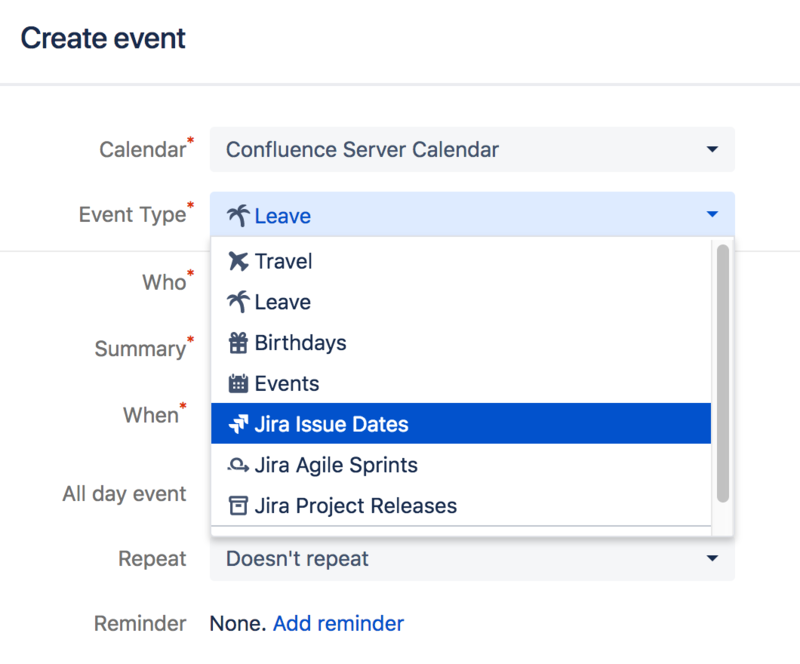 The actual calendar events (issues, versions, sprints), however, automatically respect your JIRA application permissions, so it's possible for users to be subscribed to a JIRA calendar and not see all events. In order to make sure calendars load quickly, JIRA events are cached. You can configure the cache expiry (time to live) in Team Calendars > Global settings - decrease the cache expiry time for more accuracy.